CVS Caremark just had a Don Draper moment. Like the television protagonist from “Mad Men,” the second-largest U.S. drugstore chain has orchestrated a public relations splash by pulling tobacco products from the shelves at its 7,600 stores. The move will cost shareholders 17 cents a share, but the healthcare bona fides it can gain with customers against rivals like Walgreen may offset the hit. The fictional ad-man penned a letter to the New York Times entitled “Why I’m Quitting Tobacco” after his firm lost its largest account, Lucky Strike cigarettes. The motivation for CVS is not dissimilar, though it is making a virtue of a necessity that is perhaps more moral than financial. As a purveyor of all things health and well-being, it looks bad to be selling products that are proven to make customers sick, and which kill nearly half a million Americans annually. Moreover, its pharmacy benefits division, Caremark, works with giant healthcare providers, like hospitals. They will welcome the move. Indeed, it’s not hard to imagine that they helped make it happen. There will be damage to earnings, but not as badly as the headline figure suggests. Tobacco sales equate to about $200 million of net income. CVS trades at about 15 times consensus estimates for 2014, according to Thomson Reuters. So, in theory, investors should be knocking off 15 times that $200 million, or $3 billion of value, in response to the news. They didn’t, though. By mid-morning, CVS had lost about $1 billion, or 1.5 percent, of its market capitalization. The virtue of being the first major drugstore chain to declare itself smoke-free (though nicotine patches will undoubtedly still fly off the shelves) can bring in more business from a better, healthier class of customers, not to mention those big Caremark clients. In addition, tobacco sales are secularly declining, and therefore such earnings need to be discounted. All told, the decision looks like more than just Draperian publicity, but also potentially good business. Then again, with the World Health Organization predicting the number of cancer cases will reach 24 million by 2035 as a result of increased sugar and alcohol consumption, CVS shelves may need even more restocking. CVS Caremark said on Feb. 5 that it would stop selling tobacco products at its 7,600 stores by October, becoming the first national drugstore chain in the United States to take cigarettes off the shelf. Public health experts called the decision by the No. 2 U.S. drugstore chain a precedent-setting step that could pressure other retailers to follow suit. “Today’s decision will help advance my administration’s efforts to reduce tobacco-related deaths, cancer, and heart disease, as well as bring down healthcare costs,” Obama said in a statement. 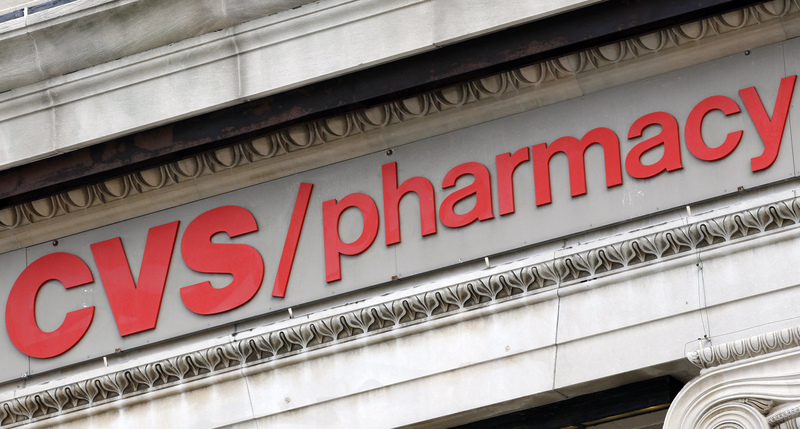 CVS, whose Caremark unit is a major pharmacy benefits manager for corporations and the U.S. government’s Medicare program, said the decision would strengthen its position as a healthcare provider.